Our 19ft Inflatable WipeOut Slide is available as a new item. 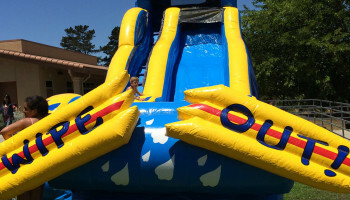 The Wipeout inflatable slide is a great item to add to any beach, tropical or Hawaiian theme party. This inflatable slide also works well with our mechanical surfboard, inflatable shark bouncer, or our mechanical shark ride. Have it dry or add some water for a wet water slide! Call us for our beach or tropical theme party package. 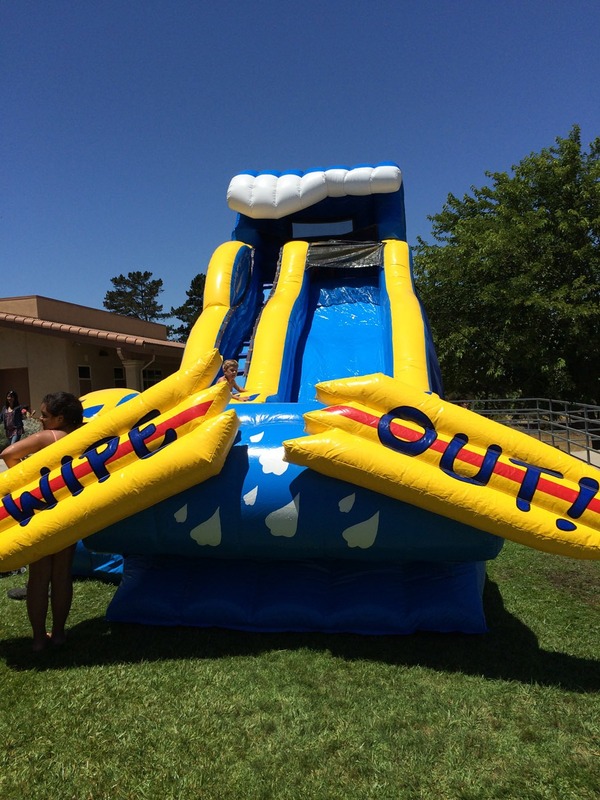 We have this inflatable water slide or dry slide for rent in Northern California, San Francisco, San Jose, Bay Area, Monterey, Salinas Valley and the Santa Cruz area.